← Get the ambulance ready! Tonight I made chicken pie. They weren’t the prettiest pies, my top crust stuck to the package so I had to tear it out and mush it together on top of the chicken mixture. But as we all know, looks aren’t everything and they tasted pretty good. 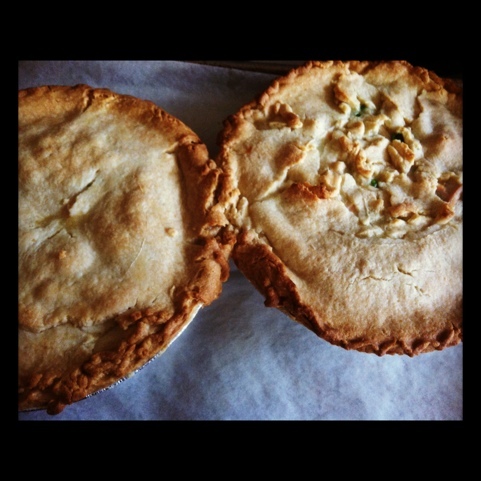 This entry was posted in Cooking, Instagram, Project 366 and tagged chicken, Chicken pot pie, crust, Instagram, pie, project 366. Bookmark the permalink.